Gum disease, more formally called periodontal disease, is swelling or soreness of the soft tissue around your teeth which in later stages may also affect the bones supporting the teeth. Bacteria. The bacteria in plaque, an invisible sticky film that forms over your teeth, will harden into tartar if not removed by proper brushing and flossing. Gums that bleed or are red, puffy, swollen or sore; gums that have pulled away from your teeth; changes in the way your teeth fit together when you bite; loose teeth; pus appearing between your teeth and gums; constant bad breath or a bad taste in your mouth. 1) Gingivitis: Early stage where you may have slightly red or puffy gums in areas or easy bleeding when you brush or floss. You may also notice some bad breath. The bacteria have begun to cause infection. 2) Early Periodontitis: The bacterial infection has spread from the gum to the bone supporting the teeth causing pockets where the gum has begun pulling away from the teeth. The bacteria can destroy some of the bone at this stage. 3) Moderate Periodontitis: The bacterial infection has spread even further down the root of the tooth so that up to one-third of the supporting bone is lost. The pockets have become much deeper. 4) Advanced Periodontitis: Half or more of the bone supporting the tooth has been lost and the pockets are very deep. The tooth appears longer because the gums have receded and the root is exposed. The tooth is at risk for becoming loose, falling out, or even having to be extracted. It is important to have Dr. Adams or Dr. Cheek examine your teeth and gums regularly, not just for gum disease but for oral cancer screening and your overall health. Your dental hygienist will remove the plaque and tartar at your regular cleaning and probe your gums annually to measure the depth of the spaces between your gums and teeth to make sure the measurements stay in the healthy normal range. The dental team of your dentist, hygienist and you, the patient, will then be able to ensure the team in on top of any situation before it becomes critical! 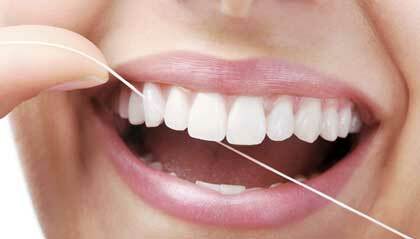 Who is at higher risk for periodontal disease? People who are diabetic, who smoke or chew tobacco, have a family history of gum disease, have a weakened immune system, are under stress, are taking certain medications like oral contraceptives, steroids, blood pressure drugs, cancer-fighting drugs. Why do I need to be concerned about periodontal disease? To maintain good oral health, keep your teeth and gums in the best condition for the long term, save money in the long term by staying on top of your oral health with your dental team, maintain your overall health as there are studies linking heart attacks and strokes to gum disease, have a beautiful smile! What can I do to help prevent periodontal disease? Brush regularly and properly, floss, floss, floss, get regular dental exams and cleanings, eat nutritiously to get a variety of vitamins and minerals in a well-balanced diet. What if Dr. Adams or Dr. Cheek diagnoses me with periodontal disease? You will be given a treatment plan with options depending on the stage of your disease. We can provide conservative treatments for the early stages of gum disease here in the office. If you are diagnosed with the advanced stage, you may be referred to a periodontal specialist for further evaluation. Please visit Adams and Cheek Dentistry’s website or perio.org for additional information.